Some people still have to work on major holidays, but it can still be a really fun day if you're a seal trainer! 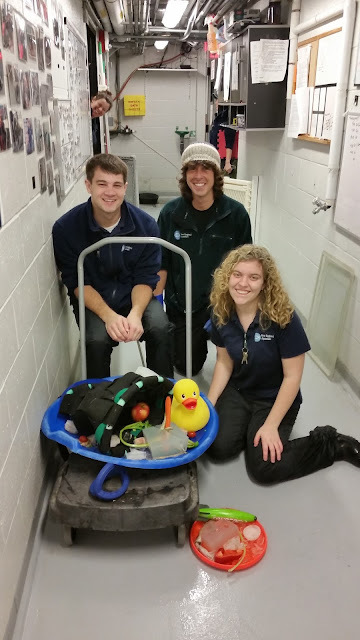 Even though the aquarium is closed to the public, the animals still need to be taken care of. 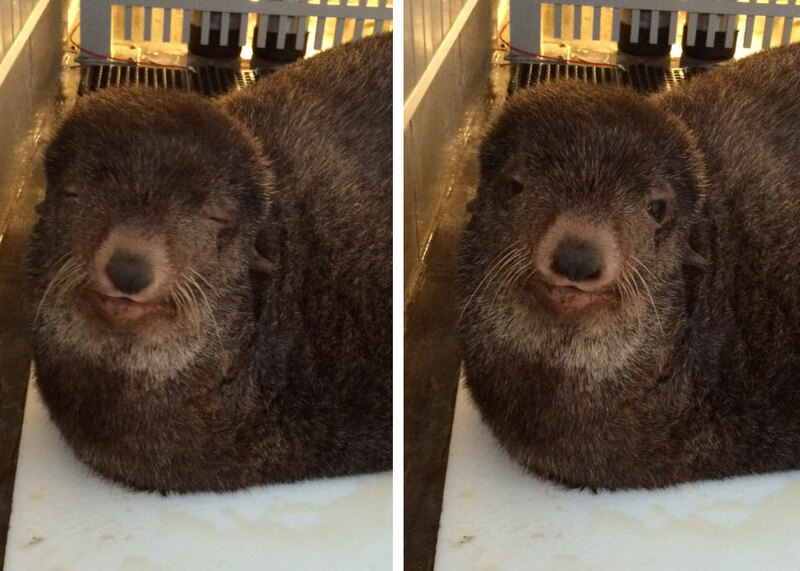 Starting bright and early, we clean and prep all the seals' diets for the day. Some have a tough time adjusting to the earlier than usual schedule... wakie wakie, Commander! Introducing: The 2015 Cornucopia of Fun! As you can see, we really went all out. For the health of the animals, we are always very careful about what we provide for the seals and sea lions during these enrichment activities. 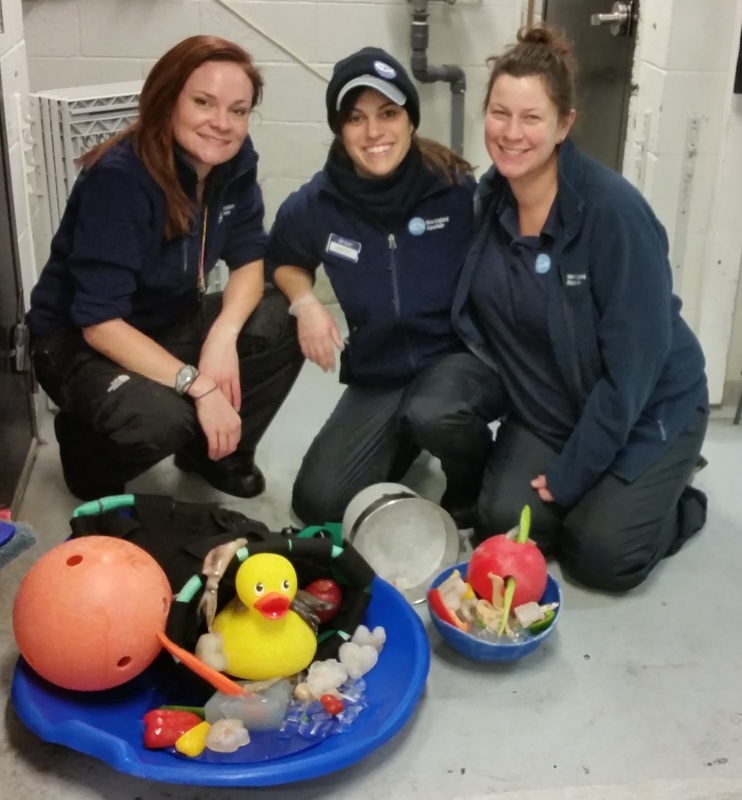 So we picked out a sampling of the seals' favorites (ice chips, jello, fish, squid and toys, to name a few!) 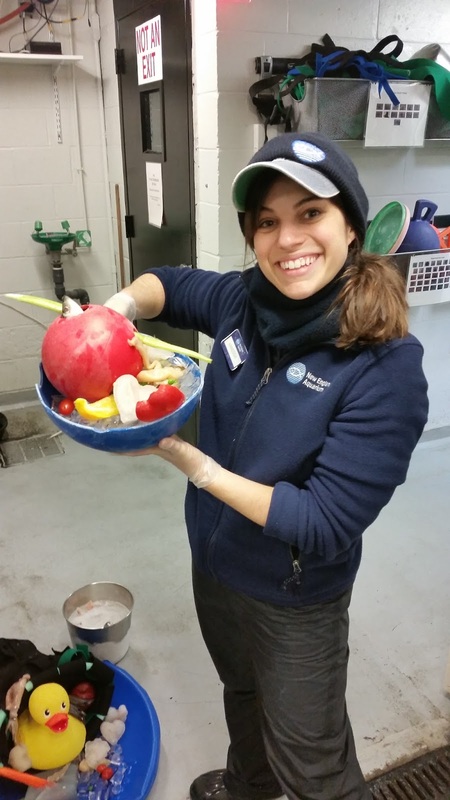 and made a cornucopia for the fur seals, harbor seals and sea lions! Thanksgiving with the seals always involves fun toys! Hopefully everyone else had a great day as well! Happy Holidays!